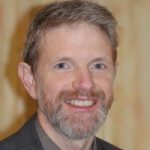 Anthony Brookes is an expert in genomics and bioinformatics, with experience in disease and population genetics, DNA variation analysis, and data management for biomedical information. He has published >150 peer reviewed articles and reviews. He has served two 3-year terms on the HUGO Council, co-founded the Human Genome Variation Society and the Human Variome Project, leads an international meeting series on genome variation (HGV200X), and jointly designed the standard Observ-OM data model for gene-disease relationships. He is currently Professor of Bioinformatics & Genomics at the University of Leicester, working on ‘knowledge engineering’ to bridge the divide between research and healthcare. Professor Brookes has been awarded several biotech patents, launched two SMEs in biosciences, and been a consultant for several other SMEs in this space. He runs the world's largest 'GWAS Central' database, and has had leadership roles in the EC-FP7 projects GEN2PHEN, READNA and BioSHaRE, as well as being a partner in other EU projects.